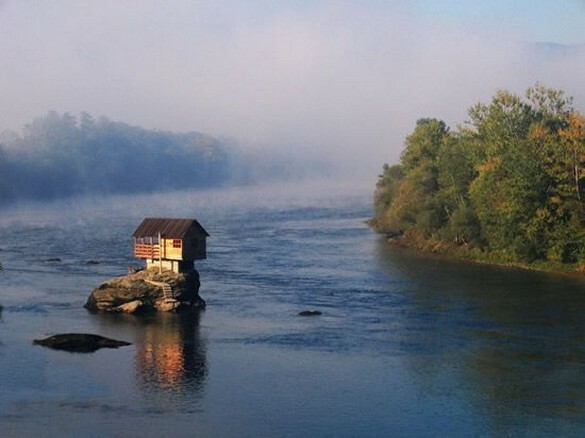 Standing on an exposed rock bang in the center of the river, near the town of Bajina Basta, this tiny house has been getting a lot of attention on the internet ever since it was captured on camera last year by Hungarian photographer Irene Becker. 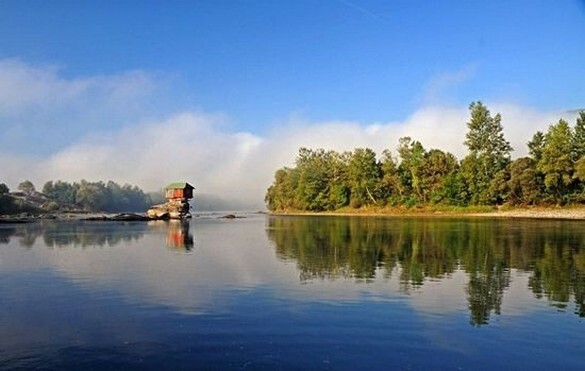 Her photo was published by National Geographic as one of the best ‘Photos of the Day’ in August 2012, and ever since then the mysterious and tranquil abode of Drina River has captured the imagination of millions. “I’m so glad that my picture makes this tiny house known to more and more people,” Becker said about her work. 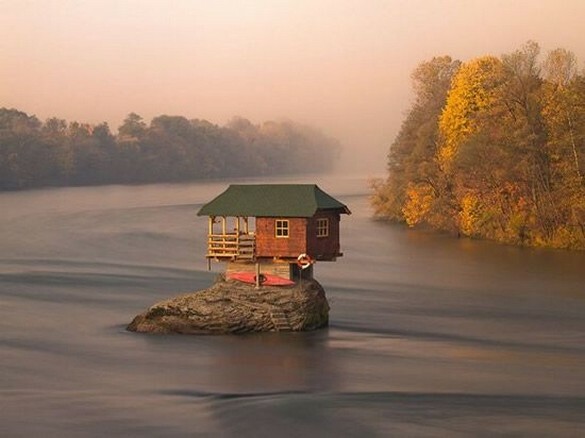 But in Serbia, the precariously placed house has been a popular tourist destination for decades, and a symbol of the picturesque Basta region. It was even nominated as one of the Seven Wonders of Serbia. The house has been standing in its unusual location for over 40 years. According its owner, “this house was built in 1968. It was not easy to build then. But I finally made it happen with the help of my friends.” Back then they were just a bunch of young boys who loved to swim in the waters of Drina River and sunbathe on the large rock that now supports the house. Its lumpy surface wasn’t the most comfortable to sit on, so one day they decided to build a proper place to rest. They started bringing in planks from a nearby derelict shed, and before long they had actually built a cosy shelter complete with walls and a roof. It may not look very sturdy, but this wooden home has survived several floods and serious storms. 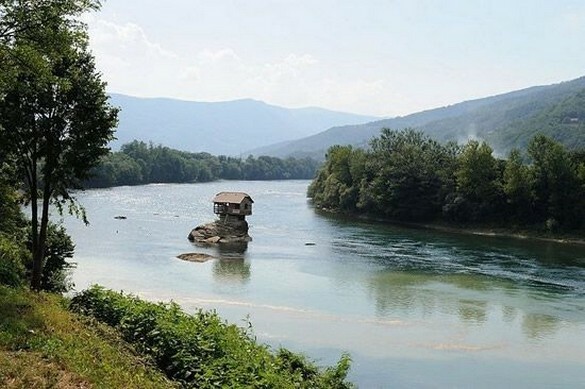 After all the recent online exposure, the house in the middle of Drina River has become a hot-spot for tourists wanting to see it with their own eyes.